Our new lap sided sheds provide that signature look of long horizontal lengths with a modern look of rich, cedar grain texture. What a great way to enhance the curb appeal of any home. This style is perfect for those who live in Home Owners' Associations that require sheds to resemble homes with Hardie style siding. Designed especially for use in sheds and outdoor structures, this siding is LP Smartside, that is treated with a Smart Guard process that resists termites and decay, resulting in lasting durability. These lap sheds are both gorgeous and exceptionally practical! 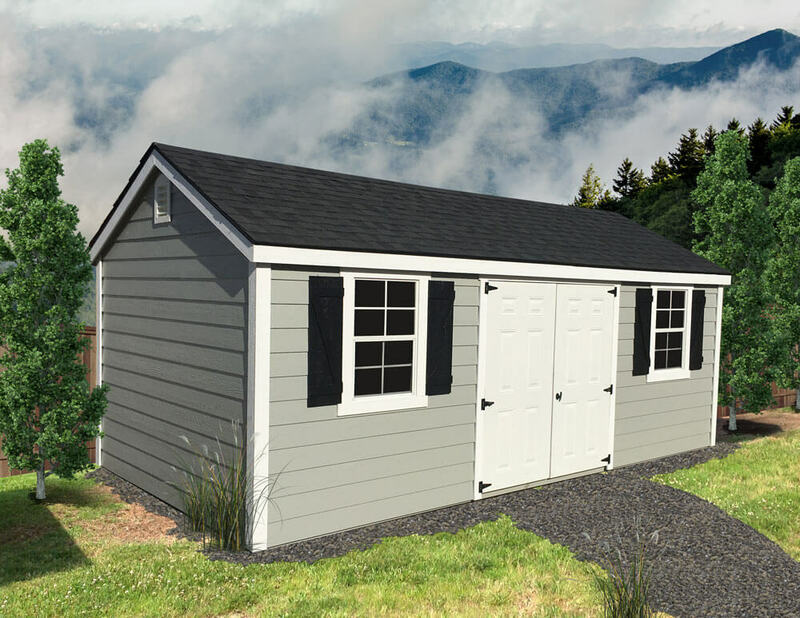 The perfect backyard accent, the lap utility shed lends an air of charm to your landscape while adding valuable storage convenience to your life. Choose the size and color you desire. Add high walls or any number of extra options for an even more function or fashion. * All measurements are widest point per DOT regulations. Standard features of lap sided sheds are illustrated on the utility model below. Customize your lap shed by choosing your siding and roof colors and adding on options such as extra windows, a ramp or a decorative cupola! We have a large variety of options available to you. © 2019 Liberty Storage Solutions, LLC, (Liberty Storage Solutions) is a North Carolina limited liability corporation. All rights reserved.